My big impulse buy of 2017 makes a come-back this year, sometimes change is good! 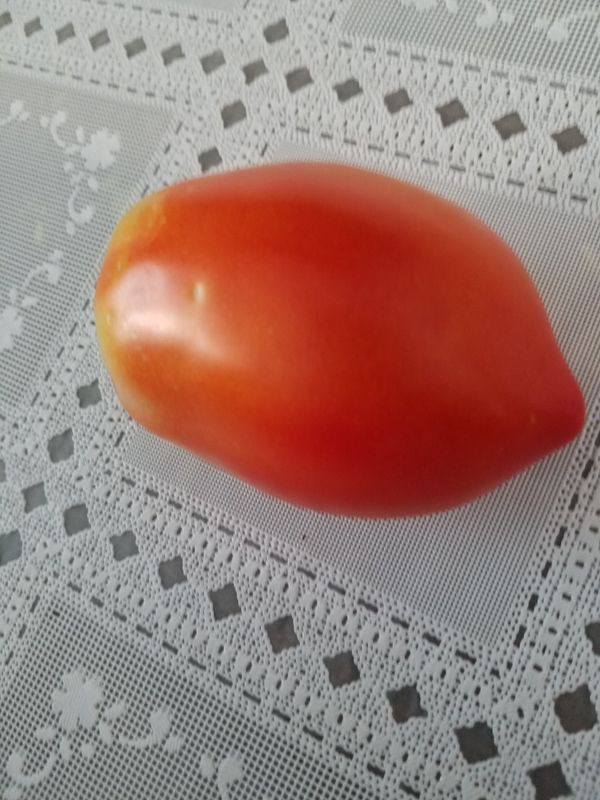 The turning point in our plum tomato growing occurred unintentionally when my eyes were lured to a picture of a large, beautiful plump tomato pictured on the Burpee 2017 seed catalog. 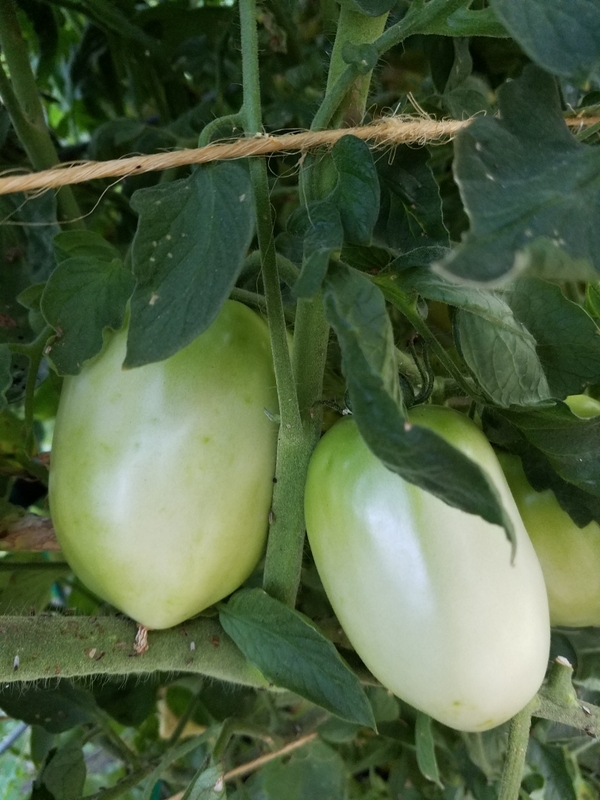 I could not get that picture out of my mind, it made no sense seeing that we have our standard five varieties of tomatoes my family looks forward to each year, why change!? But as it turns out, as the saying goes change is good. Through years of gardening and seed trials,we have selected our favorite tried and true tomato varieties. Tomatoes which met our growing and eating criteria. Varieties we both looked forward to cultivating and of course eating. But beware, use great caution opening your mail boxes in the new year. 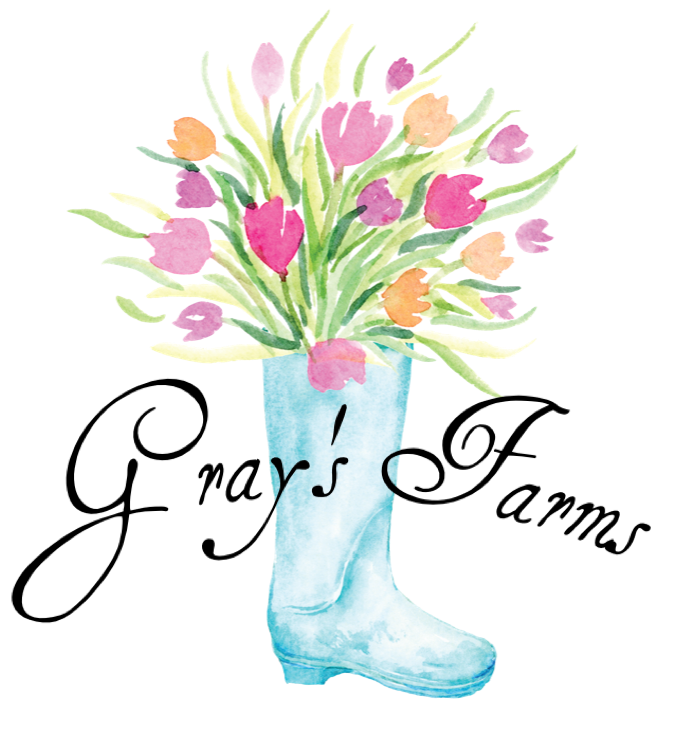 New strategically designed seed catalogs, with pictures which will lure your garden loyalties over to a brand new “exclusive” cultivar. It was farewell Health Kick Hybrid, hello Gladiator! Deciding not to mention this change to my husband, maybe he wouldn’t notice. But alas, planting time arrived, I had all our standard tomatoes we grow each year were ready for their new home, when he went searching the green house, rummaging through the peppers, then wondered over to the other hardening off station. I innocently asked what he was looking for, and oh yes, he did notice that there were no Health Kicks! Being one to not relish change he really had no choice but to give them a chance. And the good news, again sometimes change is good. -the inside is nice and meaty and great taste, with perfect amount of acid. -Liquid/meat ratio works well so little to no boiling down to thicken for sauces. 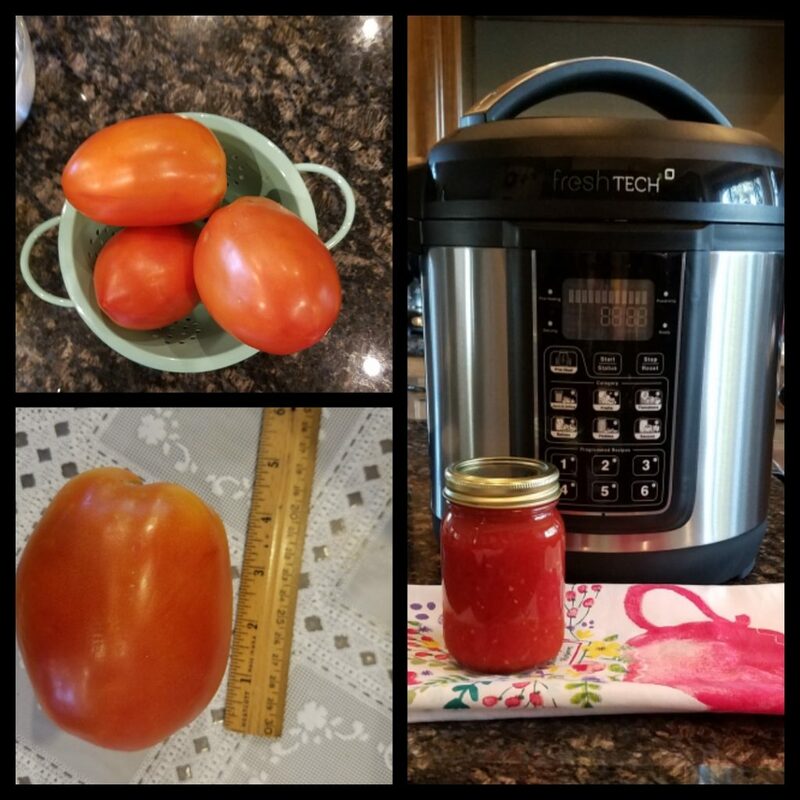 -I skin the tomato with a sharp paring knife, the nice large size makes it so much easier and since the tomato is large, fewer tomatoes are needed, meaning faster process, less mess. -In the garden they are prolific, and attractive as they grow. We were eagerly waiting for the Gladiators to ripen last summer. 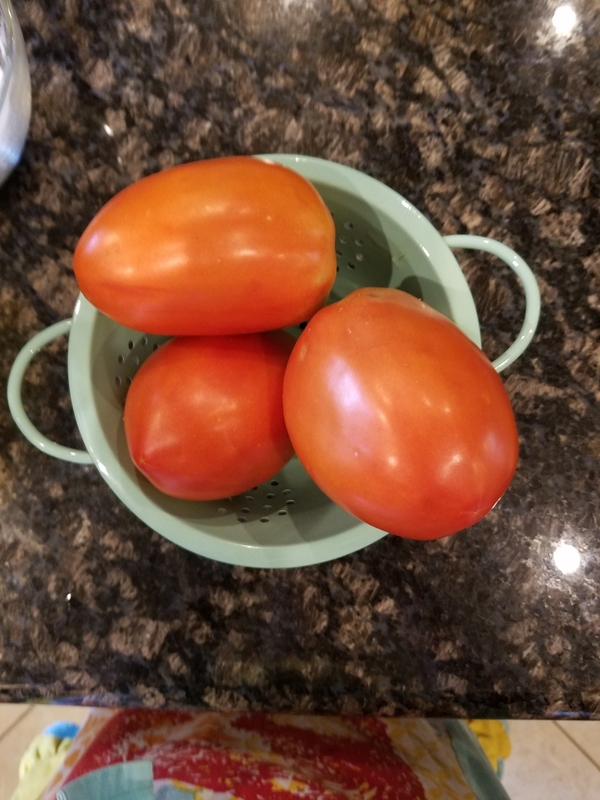 The Gladiator proved to be one of the best tomatoes we have grown, during cultivating, the size, the taste…it is a keeper! Sorry Health Kick we do miss you but only have so much time and space.